Over the last fifty years, per capita incomes in developed countries have increased several-fold, and the increase in average happiness within these countries has been absolutely zero. Are you satisfied with how much you make? Does earning MORE make you happier? Pay check after pay check, most of us wish the digits would go up so we could have more on the table; do more, buy more. Our consumer society has wired us to believe that the higher our income, the stronger our buying power, the more privileges we have, is directly related to how happy we are. Remember the expression Keeping up with the Joneses? In the pursuit of happiness, as soon as we graduate from college, or when we’re old enough to earn a living, our focus turns to how we can earn a decent income. We find a job or start a money making scheme. Once we’re earning an income that’s enough for our basic needs, we then strive to earn more than what we’re currently making. We aim for promotion, or work harder, until we reach the next level of income. It doesn’t stop there. It goes on and on as our needs and lifestyles change. In the Maslow’s hierarchy of needs, once you can afford to meet your basic survival needs - first food, then shelter - you can start satisfying higher needs such as security and self-esteem. It’s hard to think of self-development when you’re hungry, and everyone around you is living the good life. We obviously need resources to be able to go up the hierarchy, and address our deeper emotional and intellectual needs. But once we’re past meeting the basic survival needs, how much more income do we require, to find happiness and fulfillment? There are two major mechanisms which explains the impact of income to our happiness - adaptation and social comparison. Adaptation mechanism says that if you’re given a one-off increase in your income, your happiness temporarily increases - until you get used to it then you begin to aspire for more. At first, when you’re earning a meager income, your focus is on buying yourself your daily needs. As your income increases, so does your standard of living. You purchase goods of higher quality. You begin to want better products and services - a better car, a bigger house, etc. Very rarely are we satisfied with what we have, if we see that there are better things available. In the social comparison mechanism, people evaluate their income by comparing it to other people. This is where the keeping up with the joneses mentality comes from. Here, we evaluate our happiness by how much more we have as compared to other people. Although you already have a nice house, a good car, or the latest gadgets, if your neighbor has better stuff, you will cease to be contented with what you have. And you will blame the disparity and your discontent on your income. You say to yourself, I must earn more. The happiness of people living in poverty increases when they’re given a higher income. It eases their burdens and helps them escape from poverty. But once they experience freedom from the deprivation, the link between their increased income and happiness starts to dissipate. Richer nations tend to be happier than poorer nations. In our society, the richer people are generally happier than the poor. In the Easterlin paradox study of 1995, despite the growth in the income in the past decades, people’s self-reported level of happiness and satisfaction didn’t improve. In the USA, the average income increased by 300% from 1970 to 1990 but the Americans’ sense of well-being didn’t improve with the increase in their pay checks. Amidst the significant increase in income, people have been focused on strengthening their purchasing powers rather than on personal improvement. For example, a janitor at present can be considered richer than a doctor three decades ago, but he is still a janitor. According to Sonja Lyubomirsky, the author of The How of Happiness, the set point of your happiness level is determined by several factors, which include genetics, your individual circumstances - such as your looks, income and marital status - and by the things or activities you choose to do to make yourself happy. Is Your Happiness Dependent on How Much You Earn? Consider the increase in your income ever since you started earning. 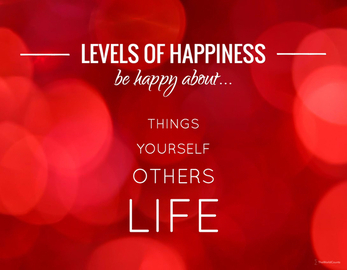 Did it result to an increase in your level of happiness? Are you happier now than you were before? Or is there an unnamed need that is still begging to be satisfied? Happiness is highly relative, and it depends on the standard and meaning you give to it. Understanding what makes you happy can help you determine how to use your income to improve your overall well-being. If you look closely into happiness, it can be divided into two subjective aspects of well-being: life evaluation and emotional well-being. Life evaluation is your assessment of what you believe you have in life, which includes your income. This is where the belief that ‘money can buy happiness’ enters the scenario. Your income is what enables you to buy things for yourself and your loved ones, from the basic survival needs, to unnecessary wants and luxuries. You measure your success and happiness by what you can afford to buy with your income. 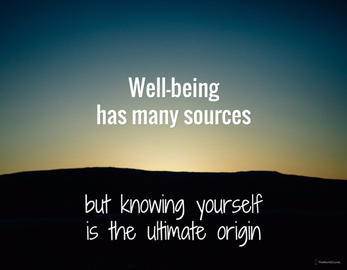 Emotional well-being is more about the quality of your life. This is satisfied by the activities you engage in, not for monetary reasons, but for your own emotional satisfaction and personal growth. The studies show that although your income can give you a comfortable life, it doesn’t guarantee happiness. Some data even shows the contrary. People with high income usually have dysfunctional relationships, because their time is spent at work rather than with their loved ones. The important thing to remember is that money is just a means to help you achieve happiness. You can use it to pay for a vacation with your loved ones, or enroll yourself in that class you’ve always planned to attend, keep your family safe in a comfortable house, and other activities that enrich your life and contribute to your growth. That’s all your income is good for. It is NOT the end in itself. The happiness we get from the acquisition of things is momentary. Oftentimes, what makes us really happy to be alive, are the things that money can’t buy. People with few social ties are two to three times more likely to suffer from major depression than people with strong social bonds. The most successful people, in work and in life, are those who have what psychologists call an internal locus of control - the belief that their actions have a direct effect on their outcomes. Exercise has been proven to be just as helpful as an antidepressant medicine. And the effect is much more lasting. Find golden "nuggets" and inspiration for changing your life or getting new perspectives on things at Life Potentials. Adaptation or social comparison? The effects of income on happiness. The promise of sustainable happiness. In S. J. Lopez (Ed. ), Handbook of positive psychology (2nd ed.). Oxford: Oxford University Press. 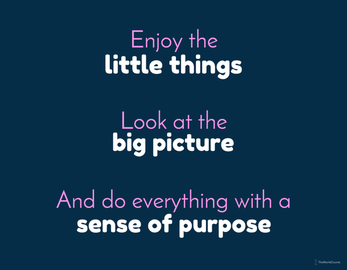 Read about how you can beat the Hedonic Paradox in the book “Happiness - the science behind your smile” by Professor of Behavioural Science Daniel Nettle.